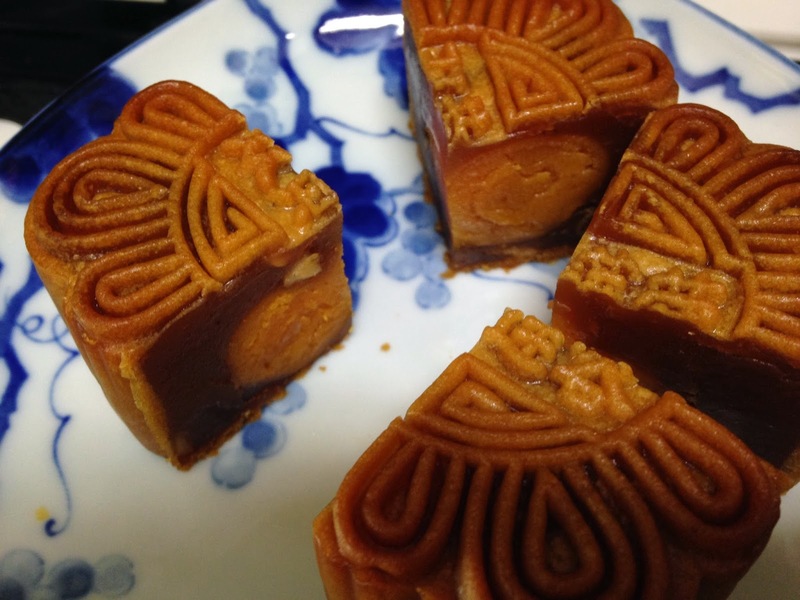 It was the Mid-Autumn Festival recently, and I've had the opportunity to indulge in some mooncakes that my mum had sent over through Chyn. To be honest, I'm not a big fan of the sweet delicacies, but I'm game for the yolk versions. 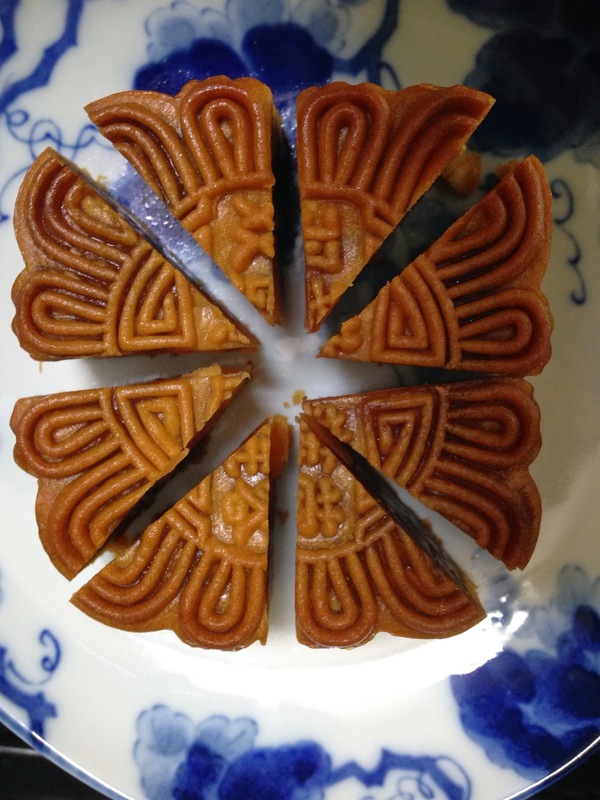 After the home church service at Ako's mum's home, I shared with them this double-yolk lotus paste mooncake, and they all really enjoyed it. 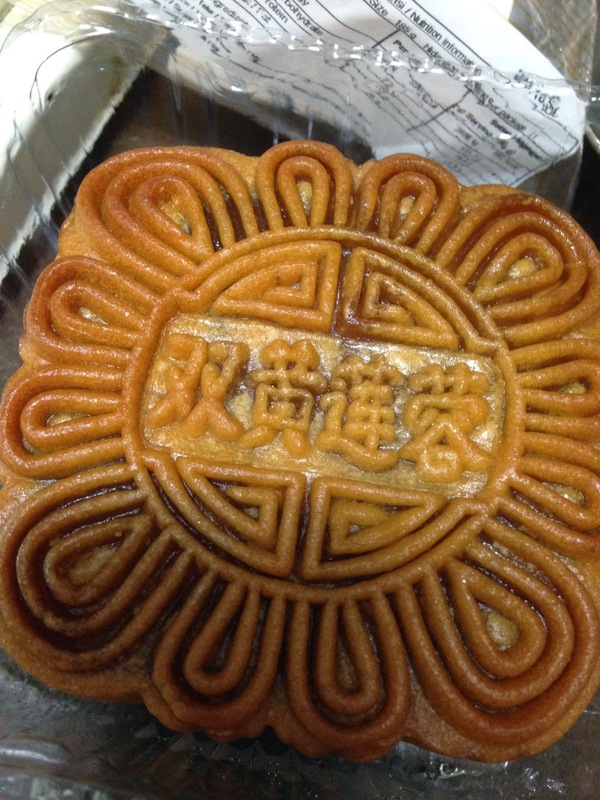 There are mooncakes apparently sold in Japan, but really small size and does not taste anything like the original. Hence, my Japanese friends were curious about the ingredients and the taste, and seemed to be fascinated with this Chinese delicacy. I was excited myself as I actually managed to cut this cake into almost precise 8 slices, thanks to a good knife in their kitchen. 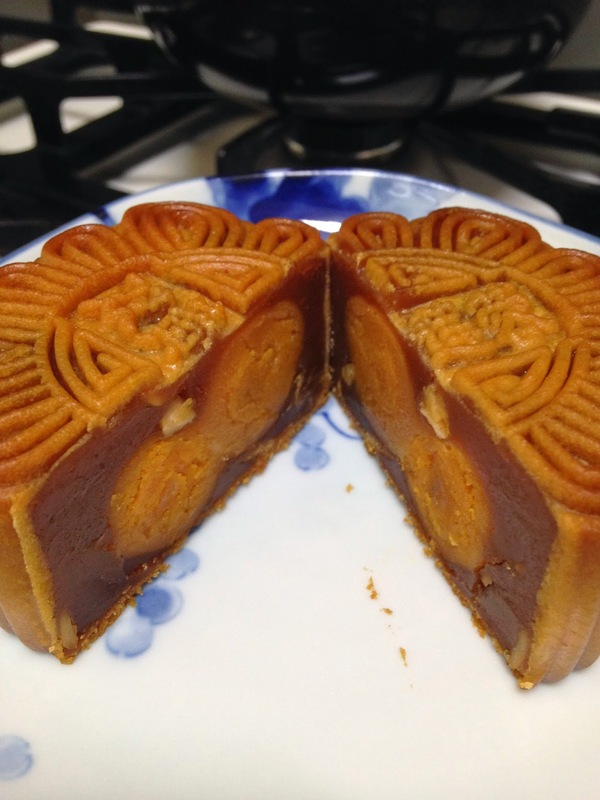 To be honest, I have no recollection of actually cutting mooncakes back in Malaysia. Usually it's my dad who does it and we just ... eat 'em! How ironic that now I'm away from home, I learn how to do such seemingly simple things and feel a sense of achievement (^.~)"
For such a treat as the double-yolk, it definitely deserves the finest cut. With the yolks so evenly distributed, it would be a waste if any crumbles and falls out.